Each week Rich Gonzalez and Marc Bloom will release their XC Regional Rankings, ranking the top ten teams in each of the nine NXN regions. Check out their Week 2 rankings, which see a lot of movement in many of the regions. NXN Girls Team Previews: Thumbnail sketches and analysis of all 22 girls teams. North Allegheny has a team compression of 2:57. But not in the way you think. The National Sports Scholastic Foundation (NSSF) released the first enstallment of the XC Regional Rankings, put together by Marc Bloom and Rich Gonzalez. The rankings name the top ten teams in each region, as well as teams on the bubble. See where your team stacks up. The Emmaus girls came into the season with two goals in mind. To repeat as state champions in AAA, and to improve on their 5th place finish at the Nike Cross Northeast regionals and earn a trip to Portland for the NXN championships. PORTLAND, Ore. – It’s not uncommon for it to get rough at the start of an elite cross country race. Shoving happens. Elbows. Some tripping. But rarely does an entire team bite it the opening meters of a national race. Let alone, get up and finish fourth. MileSplit US #1 North Central boys, competing as North Spokane XC Club, used a late surge to capture the Nike Cross Nationals. Reed Connor raced to a course record 15:15 for the individual crown. PORTLAND, Ore. – Normally we see a stoic Fayetteville-Manilus squad unfazed by success, already on to the next challenge. Not this time. This time they made room for tears and hugs. And more tears. It’s not that none of the other races mattered. It’s that each race was another step climbed; another step toward its third-straight national championship. It was another step toward an ever-evolving stage of excellence. Tatnall, a small Delaware private school with big aspirations, has positioned itself amongst the nation's best. Texas 2-Step: Texas stars Reed Connor and Chelsey Sveinsson add course record wins to NXN haul. Fayetteville-Manlius girls win 3rd straight national title with 66 points. Chelsey Sveinsson (Texas) wins individual title. Reed Connor (The Woodlands, TX) wins individual title. North Spokane, WA boys win national title. Photo by Larry Rouse There are several paths to compete at a national high school cross country championships. Ask Kathleen Lautzenheiser. As a freshmen, she competed alongside her teammates at the Nike Team Nationals in Portland, Oregon as the Midlothian girls were selected by a committee based off their championship season performances as well as big win at the Manhattan Invitational. As a sophomore, Lautzenheiser raced alongside the 40 best high school cross runners in the country in sunny San Diego at Foot Locker Nationals after qualifying from the South regional with a top 10 finish in the seeded race. Now as a junior, Lautzenheiser returns back to Portland Meadows and the Nike Campus, but as an individual qualifier without her team in the new format and new named Nike Cross Nationals (formerly Nike Team Nationals). This weekend in Oregon will be a once in a lifetime opportunity for the other individual qualifiers from Virginia and team qualifier Jamestown, but Lautzenheiser on the other hand is growing quite accustomed to making an annual trip to the West Coast every December for a national championship race. MileStat.com's Brandon Miles caught up with Lautzenheiser as she makes her second trip in three years to test her mud running skills at Portland Meadows. Photo by Victor Arrieta One month ago, Josh Hardin was fourth in his regional meet in a time of 16:14. The Potomac Falls senior certainly timed his peak perfectly as four weeks later, Hardin is now headed to the Nike Cross Nationals this week in Portland, Oregon after finishing third at the Nike Cross Nationals Southeast Regional with a personal best time of 15:14. Hardin, an 8th place finisher at the state meet in the AA race, was the top finisher from Virginia in the race this past Saturday in Cary, North Carolina and defeated two state champions in the process in Group A champ Ben Veilleux and Group AA champ Andrew Colley. MileStat.com's Brandon Miles caught up with Hardin as he prepares for a experience and race of a lifetime this weekend at NXN. Another week, another edition of the XC Regional Rankings by Marc Bloom and Rich Gonzalez. Little major movement took place. The biggest jump coming by Geneva (IL), who lept from not rated to MW #1 by beating prior MW #1 Neuqua Valley (IL) by 18 points last weekend. 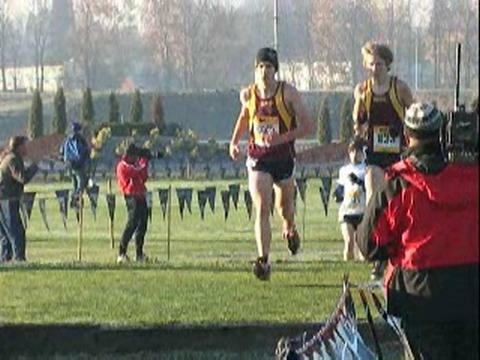 Race video from the championship boys at the 2008 Nike Cross Nationals held Saturday, December 6th in Portland, Oregon. MileSplit US #13 North Penn, led by junior Brad Miles (PennTrackXC photo by Megan Clugh) overcame early season doubts and lofty expectations to claim its second straight PIAA Championship. The first round of XC Regional Rankings, released by NSSF and produced by Marc Bloom and Rich Gonzalez, ranked three Illinois boys teams and three Illinois girls teams among the Midwest top ten. York, Neuqua Valley and Naperville North ranked first, second and sixth respectively, while Geneva, Hinsdale Central and Palatine rank second, fifth and ninth on the girls side. Four boys teams and two girls teams are listed as bubble teams. Coming into this season, Roselle (Lake Park) senior Lindsay Flanagan had one just one goal in mind – to bring home a state title. 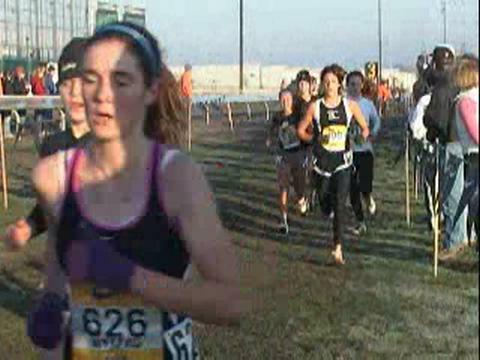 Flanagan won the IHSA 3A crown in 16:54, the fastest girls’ time of the day. The first thing you learn after the gun goes off is that this isn't just like any other race. Ben Veilleux and the Clarke County boys represented the "little guys" very well by racing and matching up well against the "big boys" and top teams and individuals in the Southeast region this past weekend at the Nike Cross Nationals regional. The Group A state champions finished only six points away from third place in the team standings to conclude the final season and race under the guidance of coach Dustin Sweeney, who has proven himself as one of the best young coaches in the state. Coach Sweeney has coached multiple state cross country and track team and individual champions, so it is only fitting that his top runner Ben Veilleux give him his first national cross country finalist in his meet coaching the Clarke County boys with Veilleux's fourth place and 15:14 personal best finish at the NXN Southeast Regional. MileStat.com's Brandon Miles caught up with Veilleux prior to heading out to Oregon this week for the Nike Cross Nationals. Mark Rowe, Head Coach at Green County High School and Kentucky Ambassador for Nike is serving as the Regional Individual Manager for the Southeast at Nike Team Nationals this weekend. He will be updating KYtrackXC.com's readers about his travels to Portland. This is the first installment. Despite some big upsets last weekend and a few surprise performances, the XC Regional Rankings saw few changes at the top. The rankings by Marc Bloom and Rich Gonzalez put Christian Brothers Academy (NJ) to the top squad in the Northeast boys rankings, while Jesuit (OR) moved atop the Northwest girls rankings. See where the top teams in your region reside. Photo by Victor Arrieta Allison Homer of Blacksburg is the comeback story of the year in Virginia high school cross country. Homer's junior year was completely lost due to a hip injury, which doctors had told her that she would never run competitively again and recommended that she should try another sport. With the support of her teammates and faith of her coach, Homer went against the advice from the medical professionals, began training this summer to prepare for this cross country season, and surprised many by her return this fall to lead Blacksburg to another state title as the team's #1 runner throughout the season. The journey of a runner certainly can have its share of highs and lows. There were many lows for Homer last year between all the doctor visits to determine what exactly was wrong with her and being forced to stand on the sidelines and unable to run during the cross country and track seasons. She stuck it out though and was determined to not give up on the sport of running. As a result of persistence and refusal to quit, Homer now finds herself headed to Portland, Oregon this week to compete alongside some of the best high school runners in the country at the Nike Cross Nationals. The Blacksburg senior was the fourth individual finisher at the NXN Southeast Regional this past Saturday in Cary, North Carolina to earn an all expenses paid for trip by Nike to compete at the national cross country meet. There will not be a single runner in the field on Saturday who is more deserving of this trip and experience than the resilient Homer. Championship girls race video from the 2008 Nike Cross Nationals held Saturday, December 6th in Portland, Oregon. There isn't much sanity left to be salvaged--it's all XC tomorrow here in Portland, Oregon. Open girls race from the 2008 Nike Cross Nationals. Open boys race from the 2008 Nike Cross Nationals.